Mama Mia, this incredible YouTube sensation is taking the entertainment world by storm! When it comes to amazing lifestyle and comedy videos on YouTube, we can always count on the wonderful Mia Stammer’s phenomenal videos to brighten up everyone’s day. Mia Stammer has some of the greatest content – each of her videos look so professional, have such a spectacular quality and they all reflect how much time and passion Mia Stammer puts into all of her videos. From her outstanding “Expectations vs Reality” videos, to her morning routine videos, and her exceptional hauls and fashion videos, whatever mood we are in, Mia Stammer has the perfect video to fulfill our YouTube video cravings! In addition to her excellent videos and Mia showing us all her awesome sense of style, one of the many things we all love about her is her bubbly, fun-loving and vivacious persona. As soon as she starts off her videos, we all instantly form a smile on our faces. I, Alexisjoyvipaccess had the great honor of covering the renowned Beautycon LA and had a terrific time interviewing the beautiful Mia Stammer at the event. Mia Stammer dished exclusively to Alexisjoyvipaccess all about what her favorite YouTube video is that she has brought out to all of her fans, what it is like for her doing collab videos with all of her YouTube friends, and so much more only in our VIPAccessEXCLUSIVE interview. Mia Stammer even brings out some amazing beauty advice to all of her fans – hear what she had to say in our VIPAccessEXCLUSIVE interview below. Thanks for the fun interview, Mia! Check out my VIPAccessEXCLUSIVE interview with the radiant Mia Stammer at Beautycon LA below! Previous VIPAccessEXCLUSIVE: The Magnificent Madisyn Shipman Updated Interview With Alexisjoyvipaccess At Beautycon LA! 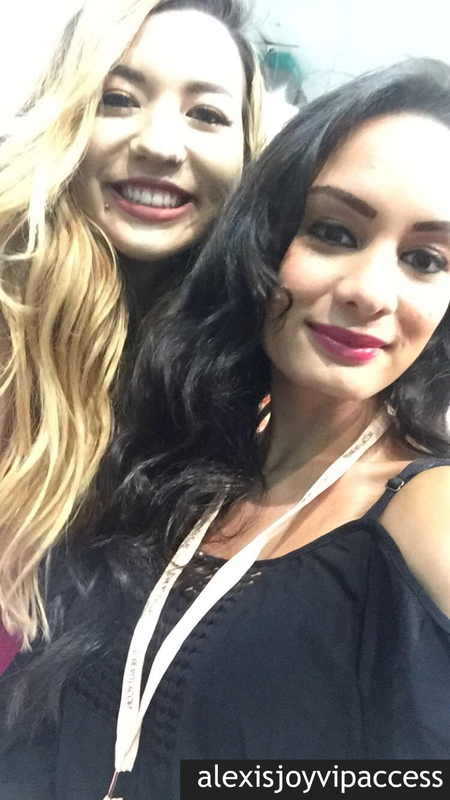 Next VIPAccessEXCLUSIVE: YouTube Sensation Alisha Marie Interview With Alexisjoyvipaccess At Beautycon LA!